Avelita is a supportive wife and mother. 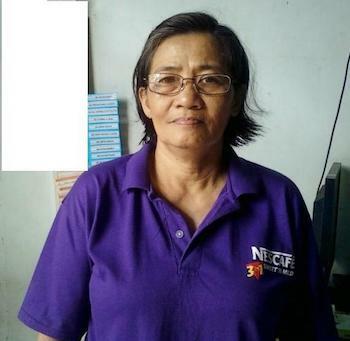 She has owned and managed a tailoring business for 35 years in the community of Calaocan, Santiago City, Isabela. With her passion for sewing, she was able to support her family with their expenses. Now, Avelita is asking for a loan of PHP 15,000 to meet the demand of her customers. The loan will be used to buy fabric, needles, and other materials needed for sewing. Avelita is looking forward to the continued growth of her business. Congratulations to Avelita of the Philippines...!